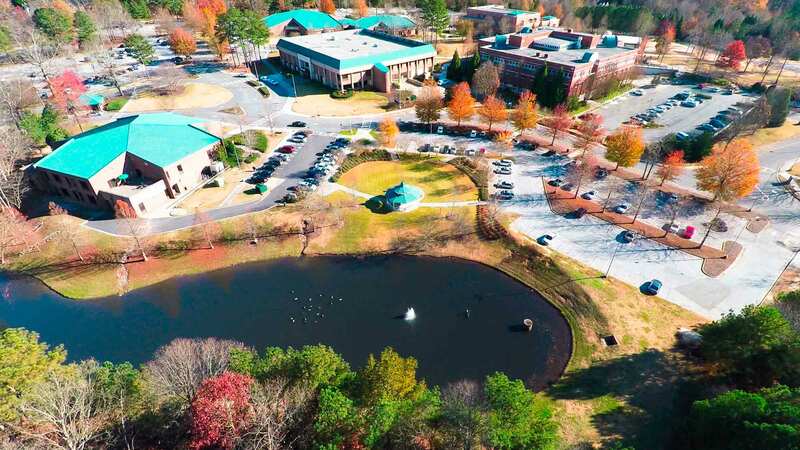 The Dunwoody Campus sits on 100 acres in a residential district of north DeKalb County, where the college has developed a strong reputation as a community partner and institution for higher learning. Business is one of the most popular majors at Dunwoody, but the campus also is recognized for its impressive accounting pathway and dental hygiene program. For seven years, Perimeter College’s dental hygiene graduates have achieved a 100 percent first-time pass rate on national board exams, and students regularly provide care for the community. The Dunwoody Campus Observatory is a resource for students and the public alike for night sky viewing. Dunwoody is home to almost 30 chartered student organizations to appeal to an array of interests, from math to outdoor adventures. For information about student life and activities on Dunwoody Campus, contact Aprille Williams, assistant director of student life. At Georgia State University’s Dunwoody Campus, Perimeter College offers 31 academic pathways, ranging from engineering to journalism. Many students choose to study business at Dunwoody, but the campus also is recognized for its accounting pathway and strong dental hygiene program. Each campus contains free designated parking areas for students, faculty, staff and visitors. Permits are required and regulations apply. University police enforce parking regulations. Parking for visitors to the campus may be reserved by filling out a visitor request form at least 24 hours prior to the visitors’ arrival. Visitors who have not reserved spaces in advance should report to the university police office on the campus they are visiting to obtain a visitor parking permit. The Dunwoody Campus is located approximately 18 miles northeast of Atlanta outside the I-285 Perimeter. Take I-285 to Exit 30 (North Peachtree Road/Chamblee-Dunwoody Road/North Shallowford Road). Turn onto North Peachtree Road and travel north. Proceed on North Peachtree Road for approximately 1.1 miles. Turn left onto Tilly Mill Road. Turn left onto Womack Road. 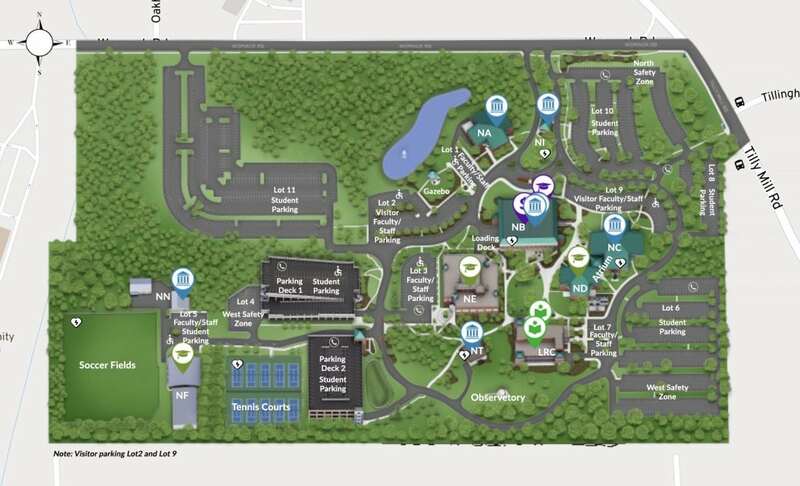 Dunwoody Campus, at 2101 Womack Road, Dunwoody, GA 30338 (770-274-5000), is on your left. Georgia State University is tobacco-free & smoke-free. Please visit www.usg.edu/tobaccofree/for additional information.